Have you ever wondered from what a cigar is made? As people will often argue, cigars are made from pure tobacco. 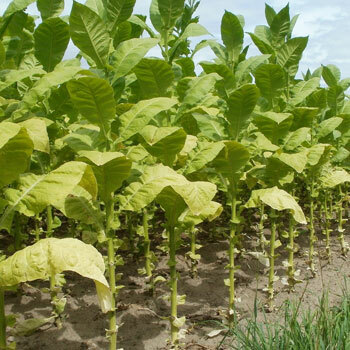 However, there are lots of different types of tobacco. In fact, a genuine handmade cigar is made from at least three different types of tobacco, which you will learn about in this guide. These are often simply referred to as the filler, binder and wrapper. However, what are they and what are their functions in a cigar? The art of rolling and making cigars is centuries-old so they’re not arbitrary! 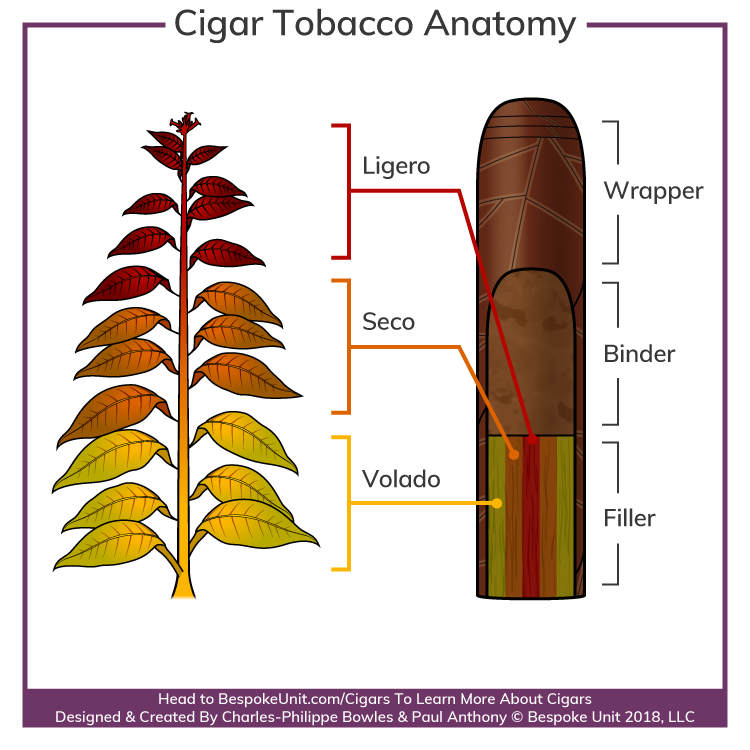 You can learn all about a cigar’s construction and anatomy in this guide and much more! In this guide, you will learn the separate parts of a cigar as well as the different types of tobacco leaf used to build it. Like wine or any fine beverage, the construction of a cigar is a meticulous and time-consuming process. Similarly, the fruit of the labour is the result of harmonious blending of different types of tobacco and a faultless assembly that exploits their unique characteristics. This resource will help you further understand what constitutes a cigar’s blend so you can recognise it. You can simply click on any of the links above to jump ahead. Alternatively, scroll down to learn it all! Learn the basics of a cigar's construction. This easy guide makes it simply to understand! 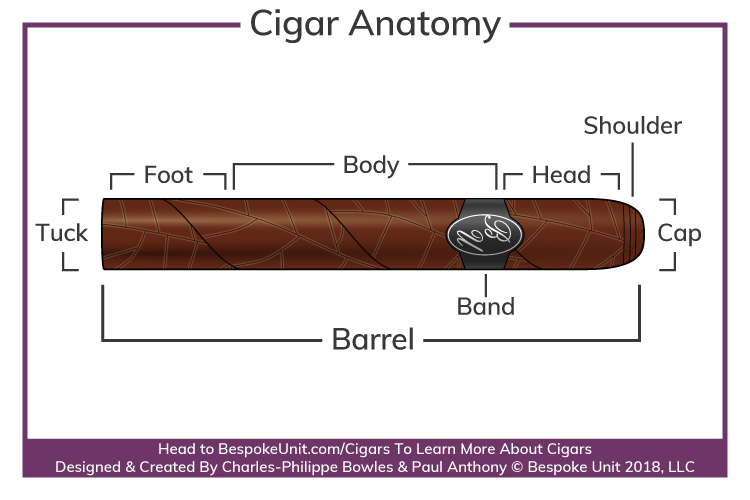 Cigar Anatomy Guide Reviewed by Charles-Philippe Bowles on March 19th . 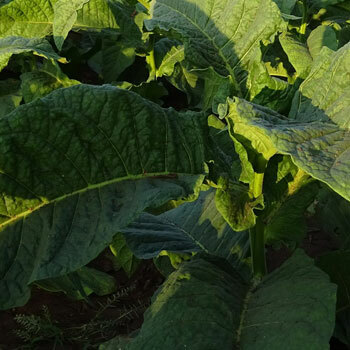 Before further exploring the different ways tobacco is used to make a cigar, it’s worth taking a quick glance at the tobacco plant. A single plant consists of leaves that are cultivated a series of primings as they ripen. As can be deduced from the name, the Seco is the second priming found in the plant’s middle section. Unlike the volado, it is coarser and offers a mild flavour. As well as the Seco, sometimes this area is referred to as Uno y Medio depending on the seed. If you want to jump to a specific one, simply use their links above. Alternatively, scroll down to read more. In order to make it easier to understand, we’ve not only provided graphics but a real-worlds cigar. Although we’d like to assure that no cigars were harmed in the making of this guide, we’d be lying. However, it was sacrificed for a good cause. 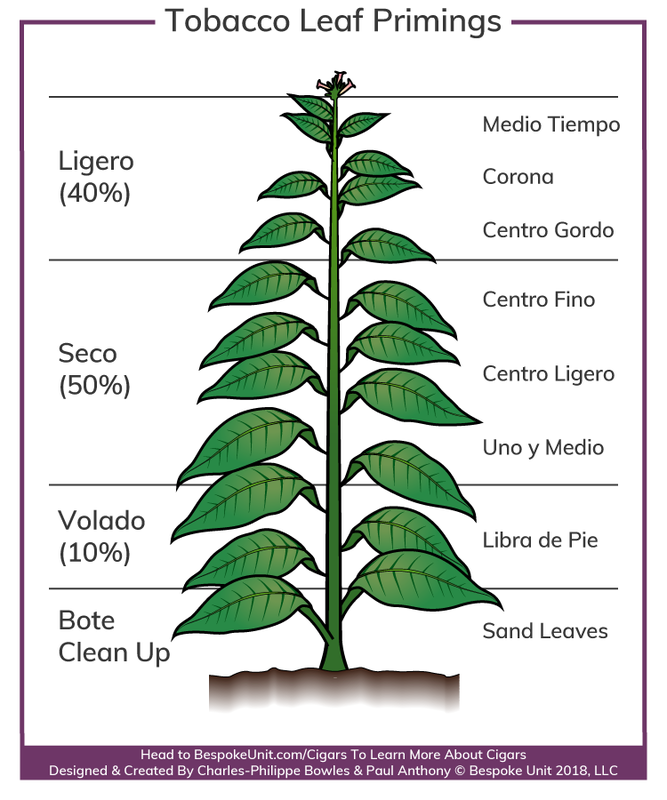 As the illustration below shows, each of a cigar’s components is made using different types of tobacco. Although a blend of several types will be blended to create a unique aroma profile, note how the primings are generally arranged within a cigar. What Is A Cigar Wrapper? Whilst professionals and enthusiasts alike will argue that all the parts of a cigar are equally important, the wrapper receives the most attention. It is both the most expensive and refined leaf used when making a cigar and can come in a plethora of colours. A cigar’s wrapper is the outermost leaf that covers the cigar. Unlike the other parts of a cigar, it is the only one that is supposed to be seen. This means that its appearance is just as important as the aromas it produces. Traditionally, Cubans will argue that the wrapper or “capa” only plays an aesthetic role. However, there are others that state that the wrapper accounts for at least half of the cigar’s flavour. An attractive wrapper is a thin and delicate leaf with few visible veins and a smooth texture. Because of this, Ligero tobacco cannot be used as it’s often too thick and coarse. Instead, it is usually sourced from the Seco primings. 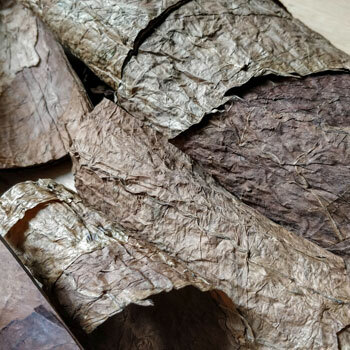 Once the tobacco has been selected, a very careful curing process ensures that it is without any blemishes with a consistent colour. An oily sheen is often quite desirable too, which often rules out the use of Velado leaves. During the growing process, the selected leaves are meticulously cultivated in prime conditions. 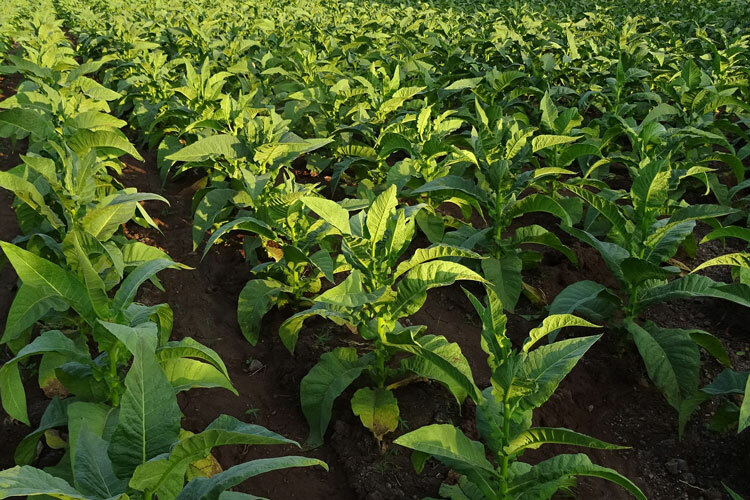 For instance, some tobacco may be grown under a cheesecloth-like gauze to prevent it becoming thick under the sun’s rays. However, there are a multitude of ways that the wrapper leaves can be grown, which will affect both their appearance and flavour. To learn more about these, you can head to our dedicated cigar wrapper guide. 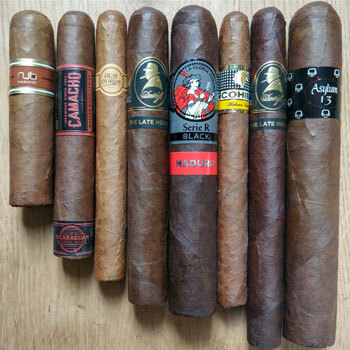 What Is A Cigar’s Binder? As the wrapper is both fragile and delicate, it isn’t strong enough to hold the cigar’s contents on its own. Therefore, a coarser leaf is often selected to securely hold everything in place. This is the binder, a robust tobacco that has a texture reminiscent of parchment. The binder has only one function, which is to literally bind the cigar’s contents together whilst acting as a suitable surface for the wrapper. 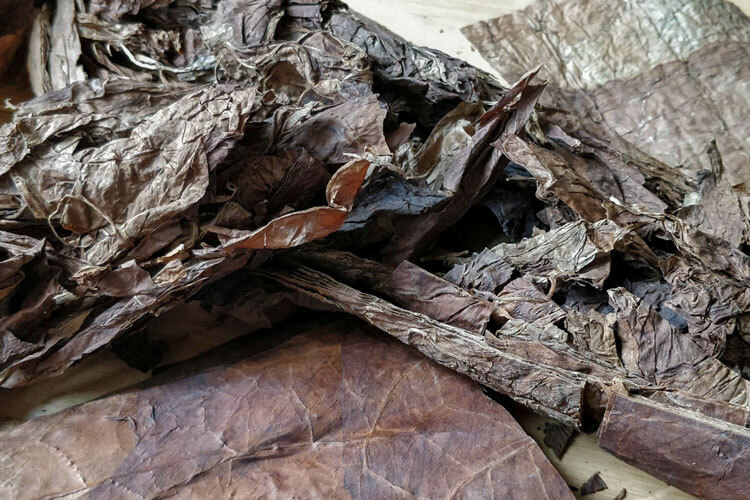 Whilst both Seco and Velado tobacco can offer the requirements of the binder, the leaves used are often sourced in a section in between. This is known as the Capote and features certain characteristics of both primings. 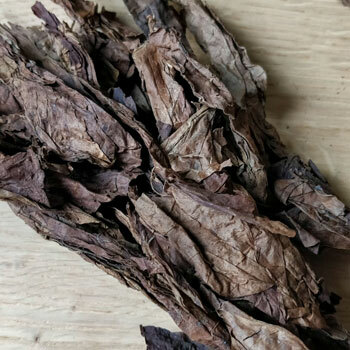 As such, it’s a relatively thin tobacco that features few oils and very little aromas or flavour. In fact, it’s quite tasteless and unsightly. Nevertheless, it is very strong and offers superior burning consistency. 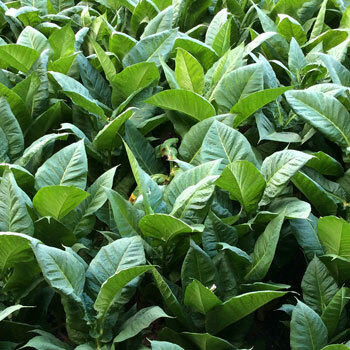 What Is Cigar Filler Tobacco? In short, the filler accounts for the majority of a cigar’s tobacco. As the name suggests, this is what “fills” the cigar. 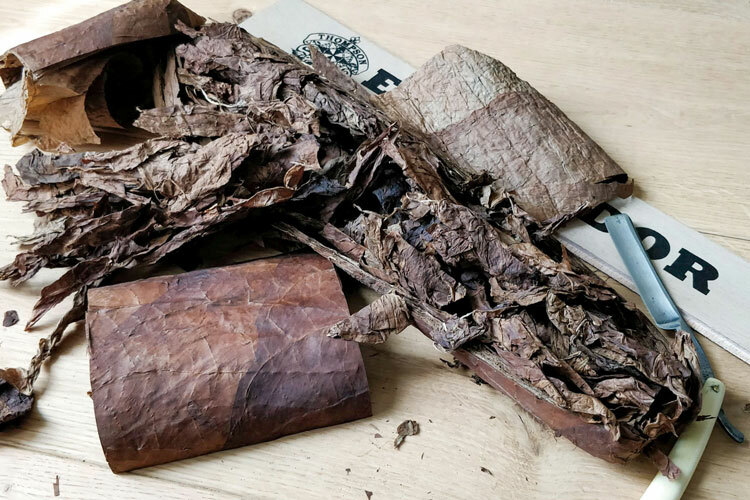 Although the Cuban industry will argue that it defines the cigar’s final flavour, others will suggest that the wrapper plays a role in this too. Nevertheless, a well-blended selection of filler tobacco is essential. Overall, a cigar will consist of a variety of different tobacco primings to achieve this. The most potent Ligero leaves will often be bundled in the filler’s centre as they’re the slowest to burn. Working towards the exterior, the filler will feature a mix of Seco to provide rich aromas as well as Velado to ensure an even burn. Depending on the blend sought by the maker, cigars can feature any combination of these tobaccos in the filler. However, they will likely consist of all three in order to create an oily and potent cigar that’s rich in aroma with a steady combustion. Firstly, a cigar can consist of two types of filler. These are “long” filler (Folhas Inteiras) and “short” filler (Fumo Picado). In fact, the length of a cigar’s filler is often indicative of its quality. Usually, the longer the filler, the primer the cut. If the filler is too short, it’s less likely to be successfully used for properly rolling a cigar. As such, only long filler is used for rolling handmade cigars. Meanwhile, cheaper machine-made cigars consist short filler, which are small pieces of tobacco. Nevertheless, it’s not unheard of for rollers to use some shorter leaves to fill any uneven spots in their cigars. However, this is a practice generally avoided on the most premium cigars. Conversely, lower quality leaves are cut into smaller pieces so they can be rolled by a machine. Regardless, a machine would struggle to roll long leaf, which is another reason that handmade cigars are much more premium. Consequently, it’s often cheaper tobacco that’s relegated to machine-made cigars, which are sometimes treated with chemicals to adjust the flavour.